Give the Gift of Care this Holiday Season | Aleph Group Inc. Mobile medical vans provide an alternative for doctors and dentists to reach their patients. For one, it’s very efficient. With holiday activities keeping your patients away from your office, it’s easiest to have them call you out to their house when they’re finally ready, saving you downtime on missed appointments. 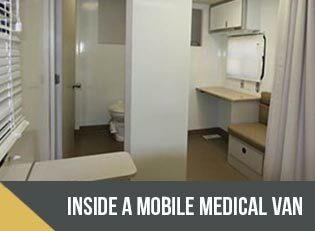 Mobile medical vans are specially outfitted so that you have everything you need right inside, all while having space to move around and do your job in comfort. Each patient will get their treatment done right inside the mobile medical van, and can get right back into the holiday spirit moments afterwards. Rinse and repeat with all your patients, they’ll appreciate the fact they don’t have to pause their holiday festivities as much to enjoy their healthcare benefits. 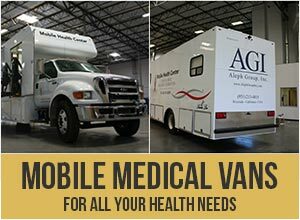 We work hard at Aleph Group Inc. so that you may have one of the best mobile health clinics on the block. Our mobile medical vans don’t go unnoticed. Every holiday season, you can spot our custom-fit vans roaming through neighborhoods, at community centers and health drives, providing healthcare services to those who don’t have the time to make it into the office. Start preparing for next year’s holiday season by choosing a mobile medical van! Have questions or want more information? Contact us online, or give us a call at (951) 213-4815.